You don’t have to know anything about the videogame version of this character to appreciate what is being done in Hitman Agent 47. You don’t even have to be familiar with the first movie made from the Hitman title (or even remember that there was one) to judge this reboot. Yes, way back in 2007, amidst Hollywood’s pre-superhero obsession, the PlayStation and Xbox were being mined for possible movie material, and that amazing actor, Timothy Olyphant, found himself bald-headed and barreling through an incomprehensible action film that made gamers and genre fans equally angry. 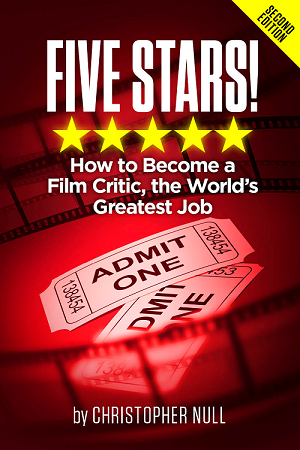 Sadly, that 18-year-old flop is Citizen Kane compared to this crap. While it tries to provide both style and substance, it screws up the first and then completely ignores the second. What we wind up with is another fine thespian (in this case, Brit Rupert Friend from Showtime’s Homeland) essaying an American accent to play dumb to a bunch of overused tropes. Yes, the setup is still kind of the same — genetically engineered assassin goes on the warpath — but it’s all the rehashing of genre givens that turn this late summer offering into so much swill. Long ago when the Earth was green, Agent 47 (Friend) was part of an experiment to build the ultimate warrior, a super-soldier if you will. He’s a genius with his fists, a wizard with a weapon, and can drive a car better than Jason Statham in a Transporter pic. Update to now and we meet Katia (Hannah Ware) a woman who has fragmented memories of a past she’s unaware of and a desire to put the pieces together. 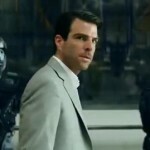 Into her life comes CIA agent John Smith (Zachary Quinto) who is charged with keeping her safe from 47. Of course, things aren’t what they seem to be, secrets are divulged, and audience members sleep as weak exposition leads to equally anemic stunts. Director Aleksander Bach proves that not every foreign music video director can make their big screen debut with a proposed franchise kick-off, especially one that offers none of the adrenalin rush of the game and little of the acting spark from Olyphant’s attempt. He’s just another cog in the mediocrity machine, a poor choice from a studio that seems eager to make one bad decision after another. Granted, the star they originally wanted — Paul Walker — didn’t live long enough to add this disaster to his creative resume, but one should feel secure that the late Fast and Furious icon couldn’t have saved this. Not even Luc Besson and his cadre of jump-cut giants could resuscitate this DOA diversion. It’s not just that we don’t care about 47, Katia, or Smith. It’s not that the storyline is so dull and derivative. If Bach had found a way to juice this junk, we’d overlook the multiple affronts to cinema and simply go along for the high octane ride. But this entire project reeks of desperation. It’s desperate for you to like it (you won’t). It’s desperate for you to get involved in its intrigue (you won’t). And it’s desperate to win over a foreign box office that often propels utter garbage to the very top of the all time box office list (see: Pirates of the Caribbean: On Stranger Tides). On that last point, it just might succeed. The rest of the world eats up bottom feeding baloney like this, uncaring about suspense and more interested in things that go “BOOM!” Make it bright, shiny, and polished and the international numbers will soar. Hitman Agent 47 is no pragmatic wreck. It functions as well as a direct to DVD action title circa 2005. Sadly, this is an entire decade of The Raid and Mad Max: Fury Roads later. Again, you don’t have to know much about this movie to appreciate what it wants to do. Unfortunately, its goal is to be terrible, and in that regard, it succeeds in chrome-domed spades. Previous: The Man from U.N.C.L.E.